For the Ukrainian soccer player of the same name in the Ukrainian language, see Ihor Sikorskyi. For other uses, see Sikorsky (disambiguation). 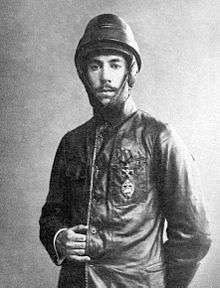 Igor Ivanovich Sikorsky (Russian: И́горь Ива́нович Сико́рский ; IPA: [ˈiɡərʲ ɪˈvanəvitɕ sʲɪˈkorskʲɪj], tr. Ígor' Ivánovič Sikórskij; Ukrainian: Ігор Іванович Сікорський , tr. Ihor Ivanovych Sikorskyi; May 25, 1889 – October 26, 1972),[N 1] was a Russian-American aviation pioneer in both helicopters and fixed-wing aircraft. First success came with the S-2, the second fixedwing plane of his design and construction. His fifth airplane, the S-5, won him national recognition as well as F.A.I. license Number 64. His S-6-A received the highest award at the 1912 Moscow Aviation Exhibition. and in the fall of that year the aircraft won for its young designer, builder and pilot first prize in the military competition at Petrograd. 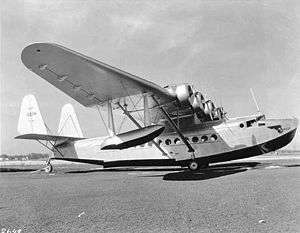 After immigrating to the United States in 1919, Sikorsky founded the Sikorsky Aircraft Corporation in 1923, and developed the first of Pan American Airways' ocean-conquering flying boats in the 1930s. In 1939 Sikorsky designed and flew the Vought-Sikorsky VS-300, the first viable American helicopter, which pioneered the rotor configuration used by most helicopters today. Sikorsky modified the design into the Sikorsky R-4, which became the world's first mass-produced helicopter in 1942. Igor Sikorsky was born in Kiev, Russian Empire (in present-day Ukraine), the youngest of five children. His father, Ivan Alexeevich Sikorsky, was a professor of psychology of Kiev St. Vladimir University, a psychiatrist with an international reputation, and an ardent Russian nationalist. Igor Sikorsky was an Orthodox Christian. According to the "Sikorsky Archives News" his ancestors were priests of the Russian Orthodox Church originated sometime during the reign of Peter the Great. When questioned regarding his roots, he would answer: "My family is of Russian origin. My grandfather and other ancestors from the time of Peter the Great were Russian Orthodox priests. Consequently, the Russian nationality of the family must be considered as well established". 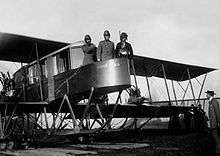 By the start of World War I in 1914, Sikorsky's airplane research and production business in Kiev was flourishing, and his factory made bombers during the war. After the Bolsheviks revolution began in 1917, Igor Sikorsky fled his homeland, because the new government threatened to shoot him. He moved to France where he was offered a contract for the design of a new, more powerful Muromets-type plane. But in November 1918 the war ended and the French government stopped subsidizing military orders, he arrived in the U.S. a few months later in 1919. Sikorsky's mother, Mariya Stefanovna Sikorskaya (née Temryuk-Cherkasova), was a physician who did not work professionally. She is sometimes called Zinaida Sikorsky. While homeschooling young Igor, she gave him a great love for art, especially in the life and work of Leonardo da Vinci, and the stories of Jules Verne. In 1900, at age 11, he accompanied his father to Germany and through conversations with his father, became interested in natural sciences. After returning home, Sikorsky began to experiment with model flying machines, and by age 12, he had made a small rubber band-powered helicopter. Sikorsky began studying at the Saint Petersburg Maritime Cadet Corps, in 1903, at the age of 14. In 1906, he determined that his future lay in engineering, so he resigned from the academy, despite his satisfactory standing, and left the Russian Empire to study in Paris. He returned to the Russian Empire in 1907, enrolling at the Mechanical College of the Kiev Polytechnic Institute. After the academic year, Sikorsky again accompanied his father to Germany in the summer of 1908, where he learned of the accomplishments of the Wright brothers' Flyer and Ferdinand von Zeppelin's dirigible. Sikorsky later said about this event: "Within twenty-four hours, I decided to change my life's work. I would study aviation." Igor Sikorsky in 1914. Portrait photograph by Karl Bulla. With financial backing from his sister Olga, Sikorsky returned to Paris, the center of the aviation world at the time, in 1909. Sikorsky met with aviation pioneers, to ask them questions about aircraft and flying. In May 1909, he returned to Russia and began designing his first helicopter, which he began testing in July 1909. Despite his progress in solving technical problems of control, Sikorsky realized that the aircraft would never fly. He finally disassembled the aircraft in October 1909, after he determined that he could learn nothing more from the design. I had learned enough to recognize that with the existing state of the art, engines, materials, and – most of all – the shortage of money and lack of experience... I would not be able to produce a successful helicopter at that time. Sikorsky's first aircraft of his own design, the S-1 used a 15 hp Anzani engine, that could not lift the aircraft. His second 25 hp Anzani model S-2 flew on June 16, 1910 at a height of a few feet. Later, Sikorsky built the two-seat S-5, his first design not based on other European aircraft. Flying this original aircraft, Sikorsky earned his pilot license; Fédération Aéronautique Internationale (FAI) license No. 64 issued by the Imperial Aero Club of Russia in 1911. During a demonstration of the S-5, the engine quit and Sikorsky was forced to make a crash landing to avoid a wall. It was discovered that a mosquito in the gasoline had been drawn into the carburetor, starving the engine of fuel. The close call convinced Sikorsky of the need for an aircraft that could continue flying if it lost an engine. His next aircraft, the S-6 held three passengers and was selected as the winner of the Moscow aircraft exhibition held by the Russian Army in February 1912. In early 1912, Igor Sikorsky became Chief Engineer of the aircraft division for the Russian Baltic Railroad Car Works (Russko-Baltiisky Vagonny Zavod or R-BVZ) in Saint Petersburg. His work at R-BVZ included the construction of the first four-engine aircraft, the S-21 Russky Vityaz, which he initially called Le Grand when fitted with just two engines, then as the Bolshoi Baltisky (The Great Baltic) when fitted with four engines for the first time, each wing panel's pair of powerplants in a "push-pull" tandem configuration previous to the four tractor-engined Russki Vityaz. He also served as the test pilot for its first flight on May 13, 1913. In recognition for his accomplishment, he was awarded an honorary degree in engineering from Saint Petersburg Polytechnical Institute in 1914. Sikorsky took the experience from building the Russky Vityaz to develop the S-22 Ilya Muromets airliner. Due to outbreak of World War I, he redesigned it as the world's first four-engined bomber, for which he was decorated with the Order of St. Vladimir. After World War I, Igor Sikorsky briefly became an engineer for the French forces in Russia, during the Russian Civil War. Seeing little opportunity for himself as an aircraft designer in war-torn Europe, and particularly Russia, ravaged by the October Revolution and Civil War, he immigrated to the United States, arriving in New York on March 30, 1919. In the United States, Sikorsky first worked as a school teacher and a lecturer, while looking for an opportunity to work in the aviation industry. In 1932, he joined the faculty of the University of Rhode Island to form an aeronautical engineering program and remained with the university until 1948. He also lectured at the University of Bridgeport. In 1923, Sikorsky formed the Sikorsky Manufacturing Company in Roosevelt, New York. He was helped by several former Russian military officers. Among Sikorsky's chief supporters was composer Sergei Rachmaninoff, who introduced himself by writing a check for US$5,000 (approximately $61,000 in 2007). Although his prototype was damaged in its first test flight, Sikorsky persuaded his reluctant backers to invest another $2,500. With the additional funds, he produced the S-29, one of the first twin-engine aircraft in America, with a capacity for 14 passengers and a speed of 115 mph. The performance of the S-29, slow compared to military aircraft of 1918, proved to be a "make or break" moment for Sikorsky's funding. In 1928, Sikorsky became a naturalized citizen of the United States. The Sikorsky Manufacturing Company moved to Stratford, Connecticut in 1929. It became a part of the United Aircraft and Transport Corporation (now United Technologies Corporation) in July of that year. The company manufactured flying boats, such as the S-42 "Clipper", used by Pan Am for transatlantic flights. 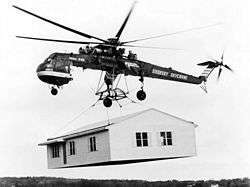 Meanwhile, Sikorsky also continued his earlier work on vertical flight while living in Nichols, Connecticut. On February 14, 1929, he filed an application to patent a "direct lift" amphibian aircraft which used compressed air to power a direct lift "propeller" and two smaller propellers for thrust. On June 27, 1931, Sikorsky filed for a patent for another "direct lift aircraft", and was awarded patent No. 1,994,488 on March 19, 1935. His design plans eventually culminated in the first (tethered) flight of the Vought-Sikorsky VS-300 on September 14, 1939, with the first free flight occurring eight months later on May 24, 1940. Sikorsky's success with the VS-300 led to the R-4, which became the world's first mass-produced helicopter, in 1942. Sikorsky's final VS-300 rotor configuration, comprising a single main rotor and a single antitorque tail rotor, has proven to be one of the most popular helicopter configurations, being used in most helicopters produced today. Igor Sikorsky was also on the board of directors for the Tolstoy Foundation Center in Valley Cottage, New York. Sikorsky was married to Olga Fyodorovna Simkovitch in the Russian Empire. They were divorced and Olga remained in Russia with their daughter, Tania, as Sikorsky departed ahead of the October Revolution. In 1923, Sikorsky's sisters immigrated to the US, bringing six-year-old Tania with them. Sikorsky married Elisabeth Semion (1903–1995) in 1924, in New York. Sikorsky and Elisabeth had four sons; Sergei, Nikolai, Igor Jr. and George. Tania Sikorsky von York (March 1, 1918 – September 22, 2008), Sikorsky's eldest child and only daughter. Tania was born in Kiev, Ukraine. Educated in the United States, she earned a B.A. at Barnard College and a doctorate at Yale University. She was one of the original faculty members of Sacred Heart University in Bridgeport, Connecticut, where she served as Professor of Sociology for 20 years. Sergei Sikorsky (1925– ), Sikorsky's eldest son. Sergei served in the United States Coast Guard, and later earned a degree from the University of Florence. He joined United Technologies in 1951, and retired in 1992, as Vice-President of Special Projects at Sikorsky Aircraft. Igor Sikorsky Jr. is an attorney, businessman and aviation historian. Igor Sikorsky III, is also a pilot, and, together with his wife Karen, owns and operates Bradford Camps on Munsungan Lake in remote northern Maine. Sikorsky died at his home in Easton, Connecticut, on October 26, 1972, and is buried in Saint John the Baptist Russian Orthodox Cemetery located on Nichols Avenue in Stratford. The Sikorsky Memorial Bridge, which carries the Merritt Parkway across the Housatonic River next to the Sikorsky corporate headquarters, is named for him. Sikorsky has been designated a Connecticut Aviation Pioneer by the Connecticut State Legislature. The Sikorsky Aircraft Corporation in Stratford, Connecticut, continues to the present day as one of the world's leading helicopter manufacturers, and a nearby small airport has been named Sikorsky Memorial Airport. Sikorsky was inducted into the National Inventors Hall of Fame and the Junior Achievement U.S. Business Hall of Fame in 1987. In October 2011, one of the streets in Kiev was renamed after Sikorsky. The decision was made by the City Council at the request of the U.S. Embassy in Ukraine, which opened its new office on that street. The Sikorsky's family house in the city's historical center is preserved to this day but is in a neglected condition pending restoration. In November 2012, one of the Russian supersonic heavy strategic bomber Tu-160, based at the Engels-2 Air Force Base, was named for Igor Sikorsky, which caused controversy among air base crew members. One of the officers said that Igor Sikorsky doesn't deserve it because he laid the foundations of the U.S., rather than Russian aviation. However, the Long Range Aviation command officer said that Igor Sikorsky is not responsible for the activities of his military aircraft. In 2013, Flying magazine ranked Sikorsky number 12 on its list of the 51 Heroes of Aviation. Our concerns sink into insignificance when compared with the eternal value of human personality – a potential child of God which is destined to triumph over life, pain, and death. No one can take this sublime meaning of life away from us, and this is the one thing that matters. 1 2 "Britannica Concise Encyclopedia - Encyclopaedia Britannica, Inc. 2006, p. 1751"
1 2 "Sergei Sikorsky: Reflecting on the 90th Anniversary of Sikorsky Aircraft: Some 90 years ago, on March 5, 1923, a Russian refugee named Igor Sikorsky organized a new company"
1 2 3 "My family is of Russian origin." ↑ Fortier, Rénald. "Igor Sikorsky: One Man, Three Careers." aviation.technomuses.ca,1996. Retrieved: October 29, 2008. ↑ "Igor Sikorsky | Historical Archives"
↑ "About Sikorsky." Sikorsky Aircraft. Retrieved: December 11, 2008. ↑ Spenser 1998, p. 25. 1 2 Woods 1979, p. 262. ↑ "Homo Imperii A History of Physical Anthropology in Russia, Marina Mogilner 2013, p.72"
↑ Homo Imperii A History of Physical Anthropology in Russia, Marina Mogilner 2013, p.167"
↑ Homo Imperii A History of Physical Anthropology in Russia, Marina Mogilner 2013, p.177"
1 2 "Sergei Sikorsky: My father's fate (English translation version of an interview published in Russian by pravmir.ru)"
↑ "An interview with Sergei Sikorsky in Russian by pravmir.ru"
↑ Kutuzov, Mikhail. "The Genius of Flight" (English translation). Russian Archipelago, 2012. Retrieved: May 16, 2012. ↑ Mikheev, V. R. "Sikorsky: Hero, Exile, the Father of Aviation" (English translation). pravmir.ru, October 31, 2011. Retrieved: May 16, 2012. ↑ Woods 1979, p. 254. ↑ "Scientific Interest." The Case Files: Igor Sikorsky, Franklin Institute. Retrieved: October 29, 2008. ↑ Christiano, Marilyn. "Igor Sikorsky: Aircraft and Helicopter Designer." VOA News, July 5, 2005. Retrieved: July 17, 2010. ↑ Woods 1979, p. 255. 1 2 "Igor Sikorsky." Encyclopædia Britannica, 2009 via britannica.com. Retrieved: October 14, 2009. ↑ "Sikorsky Celebrates." Popular Aviation September 1930, p. 20. 1 2 Woods 1979, p. 256. ↑ Current Biography 1940, pp. 734–736. ↑ Murphy 2005, p. 180. ↑ Lake 2002, p. 31. ↑ "Airmen leave Russia." The New York Times, June 25, 1918. Retrieved May 23, 2011. ↑ Woods 1979, p. 257. ↑ "Russian airplane will be made here." The New York Times, April 20, 1919. Retrieved: July 17, 2010. ↑ "History & Timeline of the University of Rhode Island." University of Rhode Island. Retrieved: July 17, 2010. ↑ Spenser 1998, p. 15. ↑ Prokhorov, Vadim. "Oldies & Oddities: Sikorsky's Piano Man" (History of Flight). Air & Space Magazine/Smithsonian, Volume 17, Issue 4, November 1, 2002. Retrieved: July 17, 2010. ↑ Current Biography 1940, p. 735. ↑ Spenser 1998, pp. 15–17. ↑ "Patent number: 1848389" google.com. Retrieved: November 25, 2010. ↑ "Patent number: 1994488." google.com. Retrieved: November 25, 2010. ↑ "Military Mission." The Case Files: Igor Sikorsky, Franklin Institute. Retrieved: October 29, 2008. ↑ Hacker and Vining 2007, p. 116. ↑ Skyways July 1995, p. 71. ↑ "Tania Sikorsky Von York." Foster's Daily Democrat, September 26, 2008. Retrieved: October 16, 2008. ↑ "First Helicopter Civilian Rescue November 29, 1945." Sikorskyarchives.com. Retrieved: July 17, 2010. ↑ Zenobia, Keith. "Sergei Sikorsky: Recollections of a Pioneer, The Legacy of Igor Sikorsky." PMLAA News Newsletter (Pine Mountain Lake Aviation Association), 19:6, 2004. Retrieved: December 2, 2010. ↑ Church, Diane. "Sikorsky to speak in Plainville tonight." Bristol Press, March 19, 2012. ↑ "Igor Sikorsky Seminar." Aviation Digest: Bradford Camps, June 2003. ↑ "St. John the Baptist Russian Orthodox Cemetery"
↑ "Igor I. Sikorsky: Sikorsky Aircraft." JA Worldwide. Retrieved: October 12, 2009. ↑ Ikenson 2004, p. 24. ↑ "Igor I. Sikorsky." National Inventors Hall of Fame Foundation, Inc. via invent.org. Retrieved: October 12, 2009. ↑ "Kyiv changes street name at Washington's request" Kyiv Post. Retrieved: November 26, 2011. ↑ Mikhailov, Alexei and Bal′burov, Dmitry. "Ту-160 присвоили имя американского авиаконструктора Сикорского (in Russian) (The Tu-160 was named after the American Sikorsky Aircraft Designer)." Izvestia November 13, 2012. ↑ "Ту-160 из Энгельса присвоили имя американского авиаконструктора Сикорского (in Russian) (Tu-160 from Engels was named after the American Sikorsky Aircraft Designer)." novosti, November 13, 2012. ↑ "The Invisible Encounter". The Universalist Leader, Volume 130, Issue 5, 1948, p. 115. ↑ "Igor I. Sikorsky." AvStop Online Magazine. Retrieved: July 17, 2010. 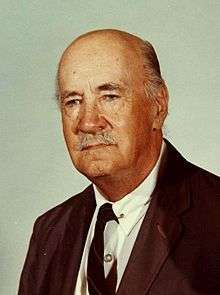 Delear, Frank J. Igor Sikorsky: His Three Careers in Aviation. New York: Dodd Mead, 1969, Revised edition, 1976. ISBN 978-0-396-07282-9. Hacker, Barton C. and Margaret Vining. American Military Technology: The Life Story of a Technology. Baltimore, Maryland: Johns Hopkins University Press, 2007. ISBN 978-0-8018-8772-7. Ikenson, Ben. Patents: Ingenious Inventions, How They Work and How They Came to Be. New York: Black Dog & Leventhal Publishers, 2004. ISBN 978-1-57912-367-3. Lake, Jon. The Great Book of Bombers: The World's Most Important Bombers from World War I to the Present Day. St. Paul, Minnesota: MBI Publishing Company, 2002. ISBN 0-7603-1347-4. Leishman, J. Gordon. "The Dream of True Flight." Online summary:Principles of Helicopter Aerodynamics.. Cambridge, UK: Cambridge University Press, 2006. ISBN 0-521-85860-7. Leishman, J. Gordon. Principles of Helicopter Aerodynamics. Cambridge, UK: Cambridge University Press, 2006. ISBN 0-521-85860-7. Murphy, Justin D. Military Aircraft, Origins to 1918: An Illustrated History of Their Impact (Weapons and warfare series). Santa Barbara, California, USA: ABC-CLIO, 2005. ISBN 1-85109-488-1. Sikorsky, Igor Ivan. The Story of the Winged-S: Late Developments and Recent Photographs of the Helicopter, an Autobiography. New York: Dodd, Mead, originally published 1938 (updated editions, various years up to 1948), Revised edition, 1967. Spenser, Jay P. Whirlybirds, A History of the U.S. Helicopter Pioneers. Seattle, Washington, USA: University of Washington Press, 1998. ISBN 0-295-97699-3. Woods, Carlos C. "Memorial Tributes", pp. 253–266. Igor Ivan Sikorsky. Washington, D.C.: National Academy of Engineering (The Academy), 1979. Wikimedia Commons has media related to Igor Sikorsky. U.S. Patent 1,848,389 : "Aircraft, especially aircraft of the direct lift amphibian type and means of construction and operating the same"